Helen’s post last week talked about which sounds your child should be saying and when. If you haven’t seen that post you can read it here. So today, I am going to talk about what we actually do to help a child make and use those sounds. Before I start, please remember if you are concerned about your child’s speech you need to get a referral to a qualified speech therapist for assessment. We have not assessed your child and can not give specific advice. 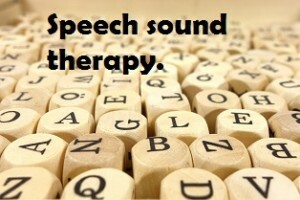 These posts are here to help guide you and explain what your speech therapist will do. When a child is finding a certain sound or a number of sounds tricky, we have to teach them how to say the sounds correctly. That doesn’t sound too hard?…. Well it is a massive job and it continues to amaze me that children can do it relatively easily. Can you imagine if someone asked you to make a ‘t’ sound in every word when you normally use a ‘k’? This is a big job that involves relearning lots of the words you already know. For children, it also has to involve lots of fun and praise (and pop-up-pirate/ bubbles/stickers etc) as we need them to do a lot of practise and repetition! Now you may find that your therapist is using a specific programme or approach to help you child. This will be decided by their assessment. You may hear words like the Cycles approach or the Nuffield Dyspraxia Programme for example. These are set programmes that a therapist can use to help the child depending on the errors they are making. However, there are fundamentals to the way we teach sounds and words that apply whatever errors or difficulties your child is having. Can they make the sound on it’s own? The first thing we need to check is whether your child can make the target sound on its own. Can they get their lips, tongue and jaw in the right place and make the noise? If they can, great, we can move onto the next step. However if they can’t, it’s the therapist’s job to teach them how to make the sound. This can involve telling and showing them how, looking in mirrors and possibly giving them physical prompts such as gently touching their chin. We also use verbal cues such as ‘remember to tuck that lip in’ for a ‘f’ or ‘it’s right at the back’ for a ‘k’. I also point to give a visual cue as well. Some sounds come quickly; others take more practise and time. Can they use the sound in short words? Now, just because your child can make the sound on its own, it doesn’t mean they will be able to use it in a long word straight away. For example, if you have just managed to get the ‘c/k’ sound, it doesn’t mean that your child will be able to say caterpillar! Therapists talk about CV and VC words. This means Consonant Vowel, which is words such as car and tea, or Vowel Consonant which is words such as ice and up. You have to forget about how the word is spelt and think about the sounds you can hear to work some of these out. So with the word car, ‘c’ is the consonant sound and ‘ar’ is the vowel sound – even though we spell it with a consonant and a vowel! Some children will need practise saying the 2 sounds separately and then try and blend them together into a word. A few children will need many sessions of practise at this before the words come. However other children may pick this up very quickly in the first session. It depends on the nature and type of their difficulties. From here you would move on to CVC or Consonant Vowel Consonant words such as cat and duck. You may find that your therapist gives you words to practise with the target sound at the beginning of the word and sometimes at the end of words. This will depend on your child’s errors and how quickly they pick up the sounds and words. Always check exactly what you should be practising and how much. Are you just practising the sound on its own or are you using it in words? Are you using the sound at the beginning of words or at the ends or both? Can they use the sound in short phrases? Once your child can quickly and correctly use the target sound at a word level, you move onto a 2 word level. This mean that you use another word in normally in front of the target word – so instead of just a ‘fish’, you have an ‘orange fish’ or a ‘little fish’. We aren’t worrying about the sounds in the other word, just listen for the correct production of the target sound. We do this as it gives the brain less planning time to get ready for the target sound and as such helps it become more natural. Can they use the sound at sentence level? Again, once your child can use the sound at a 2 word level, you can then extend this onto sentences – for example, ‘I saw a fish’ or ‘I bought a fish’. It is normally at around this stage that you will start hearing the sound used sometimes in their spontaneous speech, meaning when they are chatting, not in a task concentrating on their speech. 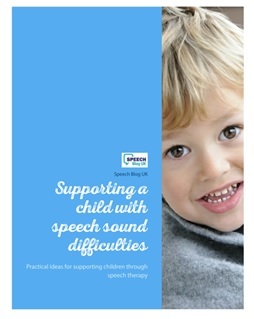 If you need more ideas about how to help speech sound generalise you can read our post here. Keep practise fun! It may look like we are playing pop-up-pirate or buckaroo all day, but what we are doing is making boring drill like work fun. Find something that motivates your child and then work in a few sounds or words. 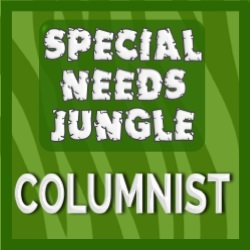 If you need ideas of games to play you can look here and here. Praise. This is very important. Praise your child for trying hard to make or use their sounds. Then praise them again when they use a sounds correctly without being asked. Little and often is normally best. No child can keep practising a tricky skill for hours. 10-20 minutes good hard work is great and then keep revisiting and practising. If you’re not sure exactly what or how you sound be practising, ask your therapist. The practise you do at home is really important, so make sure you understand any homework you get. If you want more information about how to work on each of these therapy stages with activities, tips and tricks to help you every step of the way, check out our online course. I think it would be really difficult to help as a speech pathologist. It would be really interesting because you have to learn how to help them make the noise that you want them to make. It is easy for us to make the noise but try helping someone that can’t hear their own voice. It would be something you work on all the time and make sure that they better their speech.